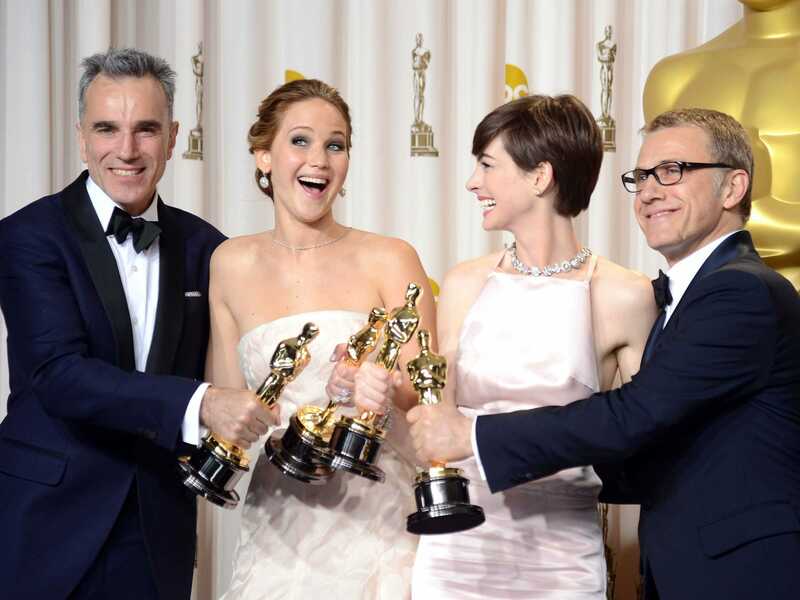 The four big Oscar winners of the night, Daniel Day-Lewis, Jennifer Lawrence, Anne Hathaway, and Christoph Waltz. The 85th Academy Awards offered a few surprises Sunday night.There was the third tie ever in Oscar history, Christoph Waltz took home his second award for Best Supporting Actor, and Steven Spielberg didn’t win the award for Best Director. Here are all of this year’s Oscar winners as they were announced on screen.